The agency change comes as Applebee's parent Dine Brands plans a turnaround bid this year. KANSAS CITY, MO: Applebee's Neighborhood Grill & Bar has picked Current as its PR AOR in the U.S. The restaurant chain selected the Interpublic Group firm after an RFP process that began in January. Three firms pitched for the business, not including incumbent Cohn & Wolfe. Current’s work with Applebee’s started on March 1. "[Current is] providing a wide range of PR, strategic thinking, and planning," said Applebee’s CMO Joel Yashinsky, who was named to the role in late January. "They are helping us identify how we promote our campaigns, brand, and who we are as a brand, so some brand thinking and some of the standard elements in terms of crisis management [are included]"
Applebee’s hasn’t launched a campaign with Current. However, Yashinsky said the chain’s focus is connecting with consumers on social and digital media. Account work is being led by Current EVP Amy Colton. Budget information was not disclosed. Cohn & Wolfe, which was merged with fellow WPP agency Burson-Marsteller last week, is working with Applebee’s through this month. The chain did not invite C&W to re-pitch for the account. Yashinsky, who joined Applebee’s in January after working as VP of marketing at McDonald’s U.S.A., added that Cohn & Wolfe was a "great partner." He explained that the brand decided to bring on a new agency because it is "in the midst of a turnaround." "As we’ve had a number of changes within the organization, [we decided to make] some changes from an agency partner standpoint," he said. "We wanted the right PR agency to help engage with our guests in a direct and engaging fashion." 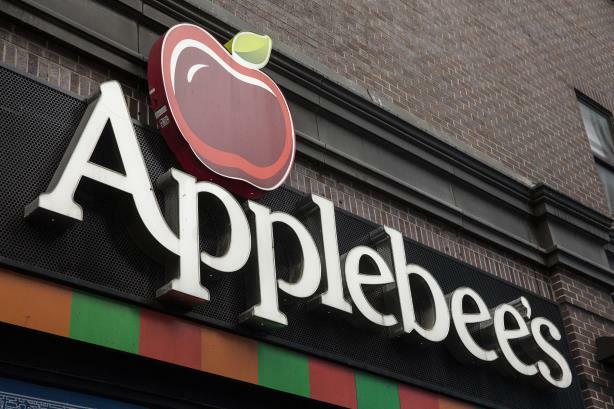 Stephen Joyce, global CEO of Applebee’s parent Dine Brands said the restaurant chain is "a company in transition" on an earnings call last month. The company revealed that while same-store sales fell 5.3% last year, restaurant sales were up 1.3% in the final quarter of 2017. The chain said it expects that growth to continue through early 2018. As it opens 10 to 15 Applebee’s stores in new areas, Dine Brands is planning to close 60 to 80 Applebee’s locations as the parent company looks to acquire other types of restaurants, according to USA Today. The chain closed 99 Applebee’s restaurants last year.